More growth. More value. More Speed. Run your own hosting business with our white-label Unlimited SSD reseller hosting. Blazing fast SSD raid-10 and an efficient network fast at all times. Speed, Security & Better Performance 100% Guaranteed. Every annual payment for a reseller hosting package, you get free domain name forever + Free account domain reseller. cPanel with WHM (web host manager), by cPanel, is one of the best hosting control panels for website hosting and reseller. All of our Reseller hosting plans come with a 30 days money back guarantee in the event that you decide does not meet your expectations. Downtime is a bad word by IKIhost standards uptime. We pledge to deliver in excess of 99.9% uptime, each and every month. CloudLinux LVE technology controls RAM, CPU and disk resources each customer can use, thus, preventing one customer's website or application from affecting the performance of other websites hosted on the same server. CloudLinux is standard on all hosting servers. CloudLinux features increased security as well as isolates individual accounts creating a much more stable and secure hosting environment. 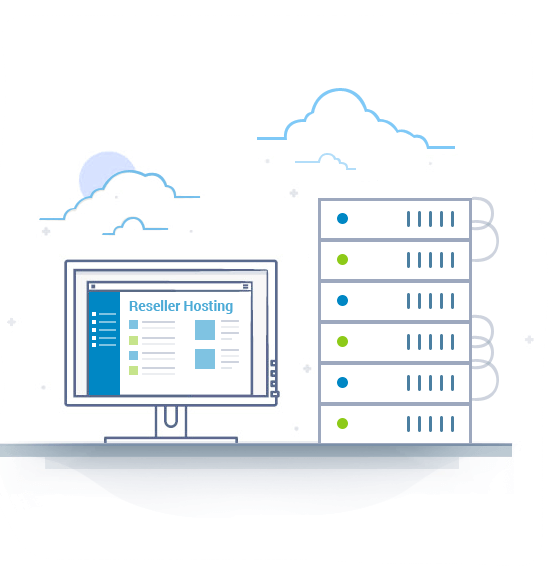 All our account reseller hosting plans include daily backups & one click restore point, as standard (2 x snapshots stored) for cpanel account hosted on our servers. Our reseller web hosting service, leveraging our performance storage and premium network. Read database or php from the SSD server storage and quickly deliver it. All our cpanel hosting packages utilise S3-EdgeCache, blazing fast disk caching to speed even the most busy website with no code changes needed. Combine this with our fully optimized litespeed webserver for both files and MySQL, you’ll experience superior performance for your website. Ready to make the move your current reseller? we’re so confident you’ll love our unlimited reseller hosting service, if you don’t, we’ll give you your money back.